What Class Is Your First/Only Child Signing Up For? * This field is required This is for the Winter Session ONLY. Child's Allergies & Medical Conditions* This field is required Please let us know if your child has any allergies or medical conditions . If none, please list N/A. Second Child's Allergies & Medical Conditions Please let us know if your child has any allergies or medical conditions . If none, please list N/A. Third Child's Allergies & Medical Conditions Please let us know if your child has any allergies or medical conditions . If none, please list N/A. 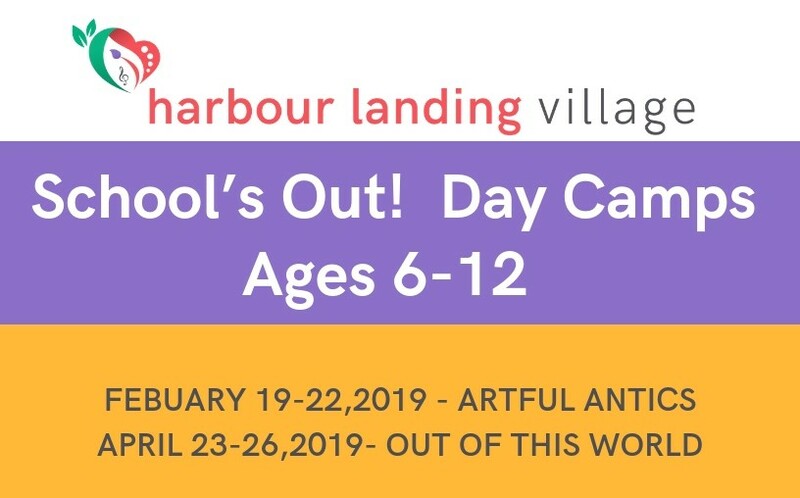 All camps offered by Harbour Landing Village School's Out Camp Program are subject to cancellation if there are insufficient registrations or due to other extenuating circumstances. For any cancelled camps initiated by Harbour Landing Village School's Out Camp Program, you will be issued a refund. If you have been placed on a waitlist for a camp, a Harbour Landing Village staff member will contact you if a spot becomes available. There are no refunds for “missed days” – no exceptions. there will be no refund issued. CANCELLATIONS. WAITLISTS. WITHDRAWLS/REFUNDS. * This field is required DECLARATION: By electronically signing below, I confirm that I have read the document in its entirety. I understand the document, have had an opportunity to ask questions, and agree to be bound by its terms. A CONFORMATION EMAIL WILL BE SENT WITHIN 1 BUSINESS DAY OF RECEIVING YOUR REGISTRATION TO CONFIRM YOUR CHILDS SPOT. AN INVOICE WILL BE EMAILED TO YOU WITHIN 3-5 BUSINESS DAYS. A LIST OF ITEMS YOUR CHILD WILL NEED FOR THE CAMP WILL ALSO BE SENT AT THIS TIME. ALL PAYMENTS FOR CAMPS CAN BE MADE AT THE FRONT DESK OF HARBOUR LANDING VILLAGE, OR VIA PHONE IF YOU ARE PAYING WITH CREDIT CARD. We accept payment in the form of credit card, debit card and cheque. PAYMENT* This field is required DECLARATION: By electronically signing below, I confirm that I have read the document in its entirety. I understand the document, have had an opportunity to ask questions, and agree to be bound by its terms.